This table is plain but simultaneously full of character. 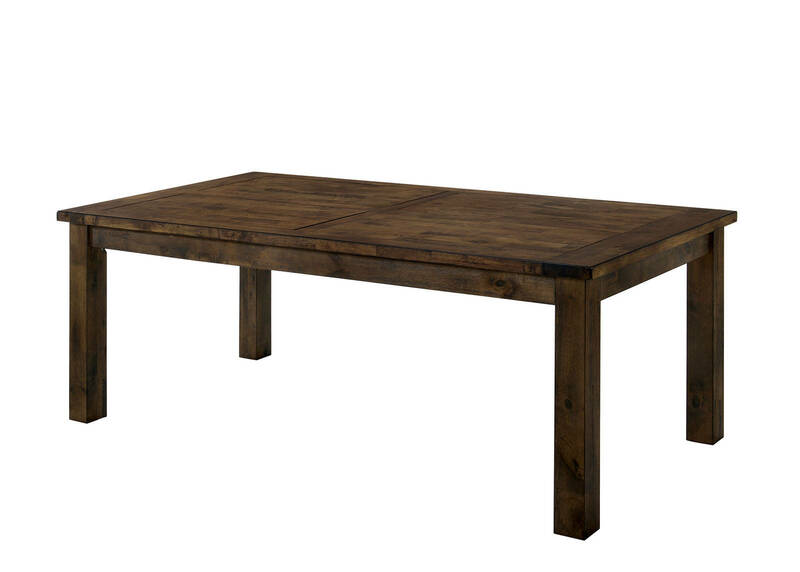 No adornments or accents, just a stunning panel style table top finished in rustic oak. This table says more by not trying to over embellish. If you enjoy simplified shapes and pragmatic design this is the table for you.